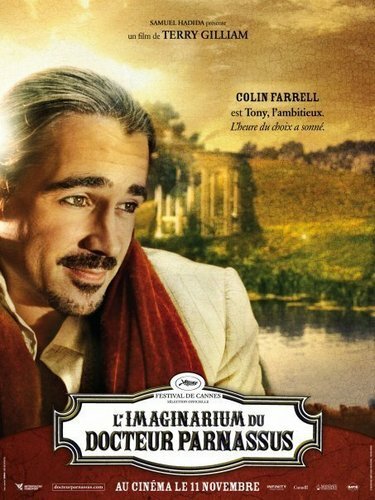 Colin Farrell - French Poster - The Imaginarium of Doctor Parnassus. . Wallpaper and background images in the Colin Farrell club tagged: colin farrell imaginarium parnassus poster official. This Colin Farrell photo contains anime, comic book, manga, and cartoon. There might also be newspaper, paper, magazine, tabloid, rag, portrait, headshot, and closeup.